Native American cultures used this land long before Europeans arrived. The first culture mentioned in 18th-century Spanish colonial histories was the Lipan, or eastern, Apaches. But by the middle of the 1700s, the Co­man­che had mas­tered the horse. They quickly ex­panded the territory where they hunted and camped, driving out other tribes. The Comanche and earlier Native Amer­i­can groups came here for the water and abundant game. Captain Henry S. Brown, a Texas Rev­o­lu­tion­ary soldier, was the first Texan known to cross the area. In 1828, Brown, with about 25 men and a Native American guide, entered what is now Brown County in pursuit of a Comanche raiding party. Captain Randolph B. Marcy of the U.S. Army led a frontier expedition in the area in 1851. Pecan Bayou was a favorite spot for the tribe, according to Marcy. 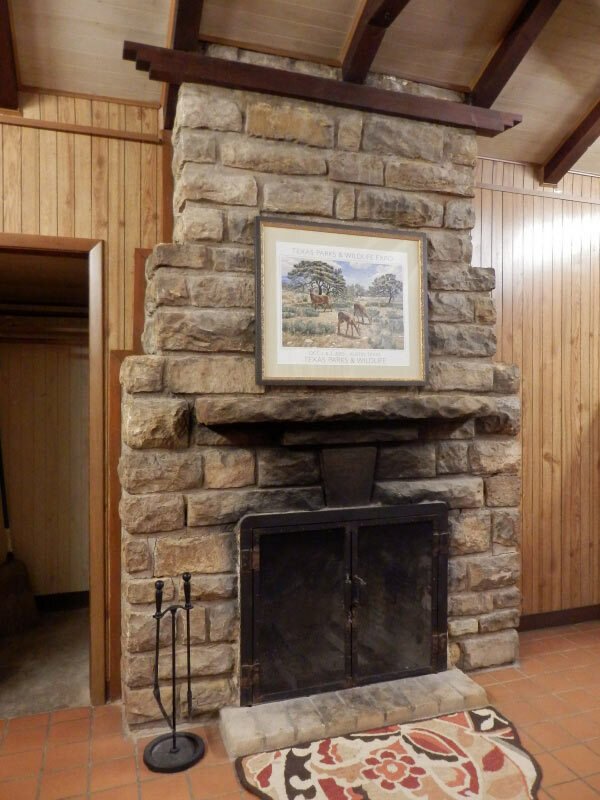 Settlers soon followed and began farming the floodplains and ranching the hill country. The county was organized in 1857 and named for Captain Brown. After a devastating flood in 1900, Brown County residents decided they needed to control the flooding of Pecan Bayou and its tributary, Jim Ned Creek. They also wanted to provide water for homes, farms and ranches. This effort became even more important as the population grew. Construction began in the late 1920s on a dam to impound the waters of Pecan Bayou where it joined Jim Ned Creek. The dam was completed in early 1933. Skeptics predicted it would be years before the lake would fill with water. But in July 1932, a record-breaking flood swept down Pecan Bayou. The lake filled and covered more than 7,000 acres almost overnight. The dam was not quite finished, and some occupied homes were flooded. Since that time, the reservoir has supplied drinking and irrigation water. It has tamed the uneven and sometimes destructive flow of Pecan Bayou. And it has provided water recreation. In 1934, the Texas State Parks Board acquired 538 acres from the Brown County Water Improve­ment District No. 1 for a state park on the lake. The board paid $1. Construction on the park began under the Civil Works Admin­is­tration. The CWA employed local men who were part of Emergency Conservation Work programs. These were the forerunners of the Civilian Conservation Corps. The CCC was part of Franklin D. Roo­se­velt’s New Deal recovery program. The CCC camps es­tab­lished across the country in the 1930s offered work to unemployed young men and improve­ments to state lands. County and state officials lobbied successfully for a CCC company to work at the park. Company 872 arrived in November 1934 for a one-year assign­ment. Workers continued projects begun under the CWA and started on additional park facilities. A second CCC unit arrived in October 1936. Company 849 remained at the park until February 1942, when the camp closed. 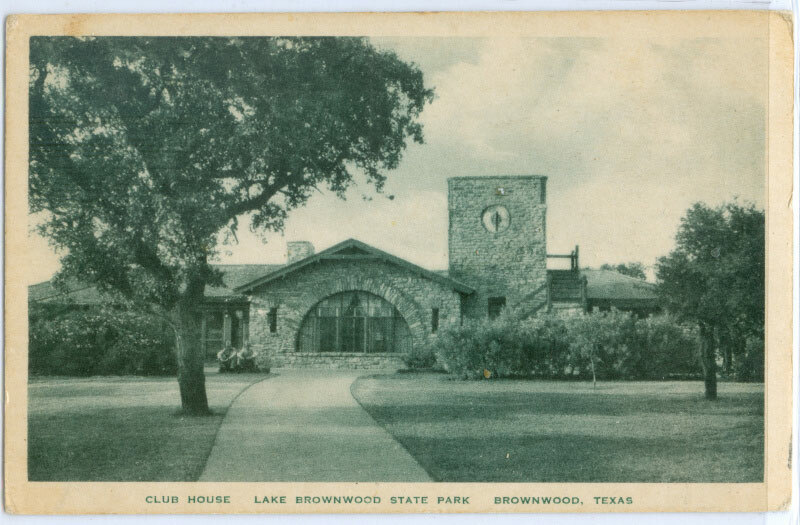 Learn more about the CCC’s work at Lake Brownwood and other Texas state parks. The National Park Service designed the structures here to fit with the environment. 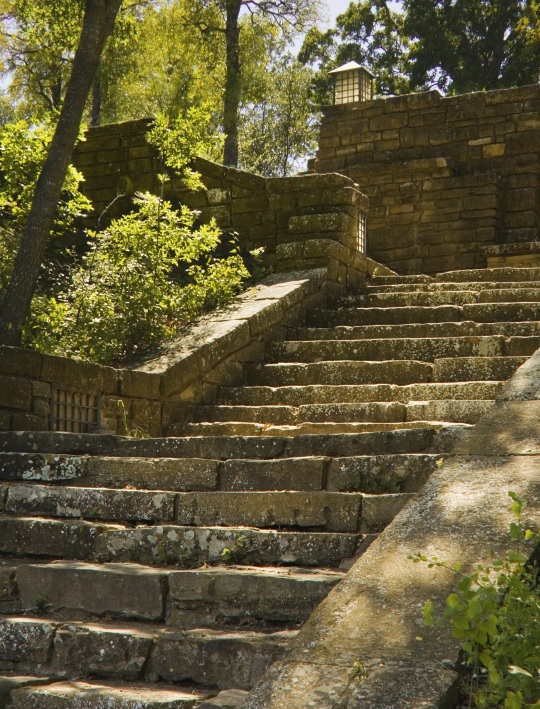 CCC workers built outdoor patios and stairs using locally quarried rock. Look for fire pits, curved benches and picnic tables strategically located throughout the park, placed for privacy and lake views. The recreation hall with its adjoining dance pavilion sits atop a hill. From its rooftop observation deck, you can see the park, lake and surrounding rolling hills. By the time they left, the CCC men had completed 17 cabins and nearly 100 other structures. During World War II, the park served as a rest and recreation site for soldiers stationed at nearby Camp Bowie. After the war, Texans (and others) began using and enjoying the park, and continue to do so today.